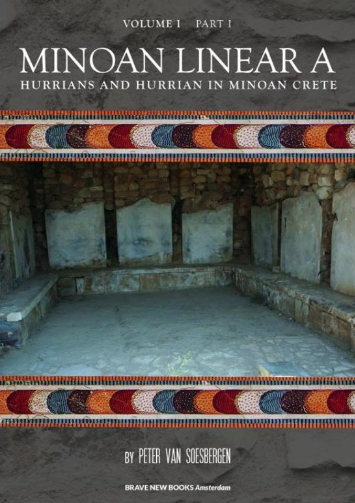 HURRIANS AND HURRIAN IN MINOAN CRETE. 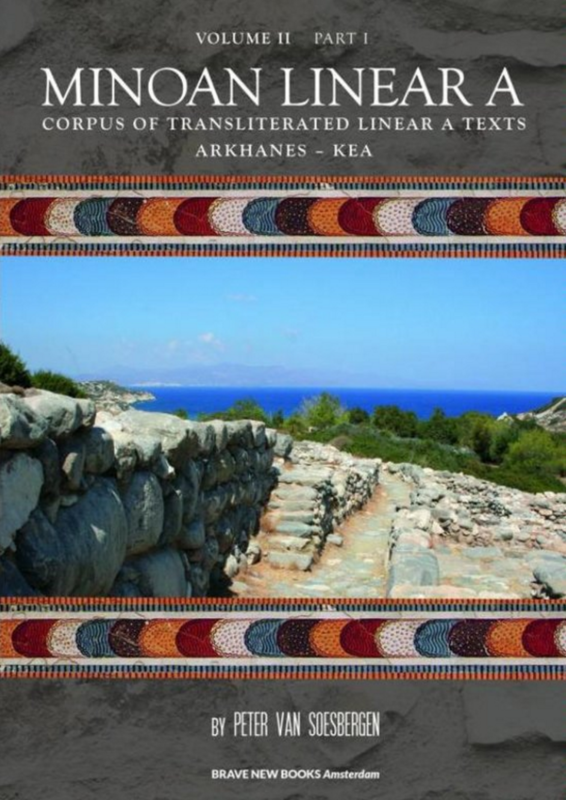 The author has reviewed previous attempts to decipher the script of Minoan Linear A concluding that none can be accepted as presenting consistent phonological and morphological evidence, which is required for identification of an idiom written with an undeciphered script. 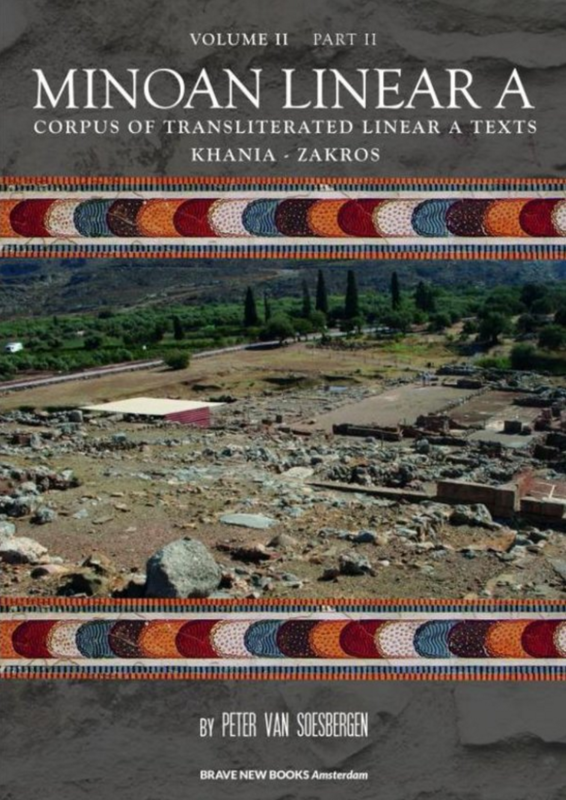 Using phonological and morphological evidence, he has shown by linguistic methods that Linear A may well be the notation of an idiom with specific phonological features and a morphology of agglutinative character that can be explained from Hurrian. Finally, he has identified Linear A sequences with both Hurrian lexical terms and many Hurrian onomastics. More decisive is the evidence of typical grammatical forms with specific suffixes in Linear A that can only be interpreted as Hurrian such as Linear A u-mi-na-si = cuneiform Hurrian umminnaši ‘of the lands’, e-na-si = cuneiform Hurrian e-en-na-a-ši and e-en-na-a-še ‘of the gods’ with the Hurrian suffixes of the plural article (-na) and plural genitive (-ši /-še). The structure of Hurrian names, especially of theophorous personal names, is clear and can easily be recognized. For instance, the Linear A inscription on a pithos from Knossos consists of two hypocoristic Hurrian personal names, ki-pa-a , u-na-a (KN Zb 40.1-2), that are both also attested in Hurrian Nuzi, east of the Tigris river. An inscription on a pithos from the Villa of Hagia Triada, su-ki-ri-te-i-a (HT Zb 158b), can be identified as the Hurrian personal name Šukri-teḭa, hypocoristic of Šukri-tešup, with the name of the Hurrian Stormgod Tešub as a theophorous element. If the meaning of the verbal root šugr- ‘to protect, bless’, accepted by V. Haas, is correct, Šukri-tešup and Šukri-teḭa would mean ‘Tešub is protecting, blessing’ (cf. T. Richter, Bibliographisches Glossar des Hurritischen, Wiesbaden 2012, 409, s.v. šugr- [PN]). 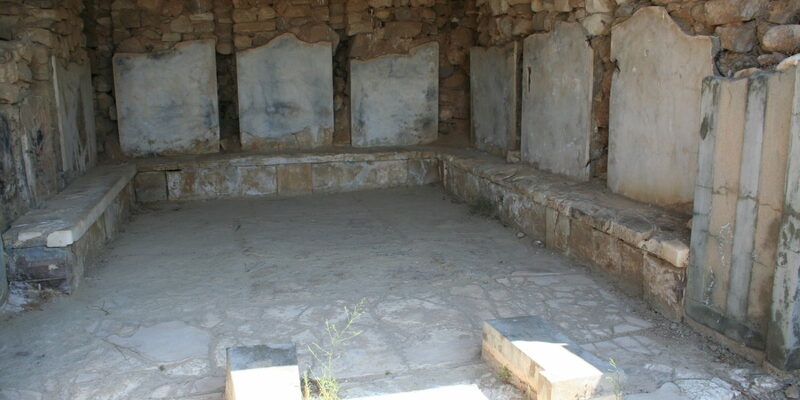 Many Linear A ‘religious’ texts on libation tables from several Cretan peak sanctuaries start with the sequence a-ta-i-jo-wa-ja that can be identified with the Hurrian form at-ta-i-iw-wa-aš ‘Our Father’ in the divine sense, with the Hurrian plural possessive suffix (first person) –iw-wa-aš ‘ours’ as opposed to –iw-wǝ ‘mine’. Hurrian attai ‘father’ is not only a common word in the domestic sphere, but also in the divine sphere as is shown by the combination eni attanni (< *attai-ni ) ‘God the Father’, often appearing at the top of lists of Hurrian deities (-ni / -ne is the Hurrian suffix of the singular definite article). 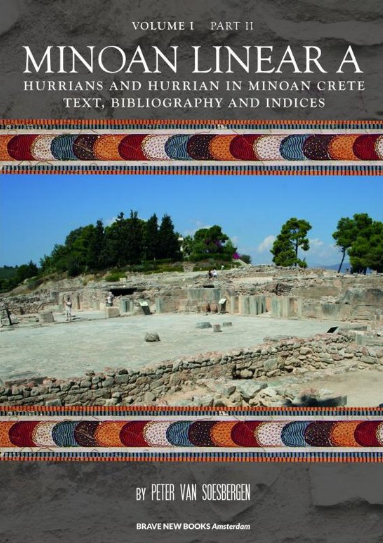 The author has shown that Hurrian is indeed the best candidate from a historical point of view, because the predominantly Hurrian kingdom of Mitanni was in fact the greatest political and military power in the Near East next to Egypt during the first half of the second millennium B.C. and Egypt’s principle rival for control of the Levant until the rise of the Hittite empire under Suppiluliuma I (1370-1345 B.C. according to the old chronology; 1355/45-1320 B.C. according to the shorter chronology), who reduced Mitanni to a vassal status at the end of his reign and occupied the western half of the former Mitannian empire. Following the tradition of his predecessors, king Tušratta of Mitanni (ca. 1365-1335 B.C. according to G. Wilhelm) sent his daughter Tadu-ḫepa ‘Ḫebat is loved’ as a bride to the Egyptian court of Amenhotep III (1390-1352 B.C.) asking the Pharaoh a golden statue of his daughter in return. The Mitannian empire with its vassal states in Syria such as ancient Ḫalab (in Semitic) / Ḫalba (in Hurrian) = modern Aleppo, and ancient Alalaḫ (in Semitic) / Alalḫa (in Hurrian) = modern Tell Açana, was indeed contemporary with Minoan Linear A in Crete. Previously many scholars doubted whether Hurrians could have reached the coast of the Mediterranean in the first centuries of the second millennium B.C., but the earliest layer of destruction of Alalaḫ / Alalḫa (NW-Syria), layer VII (1640 B.C. ), result of a campaign by the Hittite king Ḫattušili I, yielded archives with 50% Hurrian names. Recent excavations at Urkiš = modern Tell Mozan (North Syria) have proved Hurrian presence in the area at least from the middle of the third millennium B.C., suggesting that the Hurrians in North Iraq, North Syria and East Anatolia may have been as indigenous as the Sumerians were in southern Iraq. Picture on cover: Megaron of the Palace of Hagia Triada (photograph by the author).